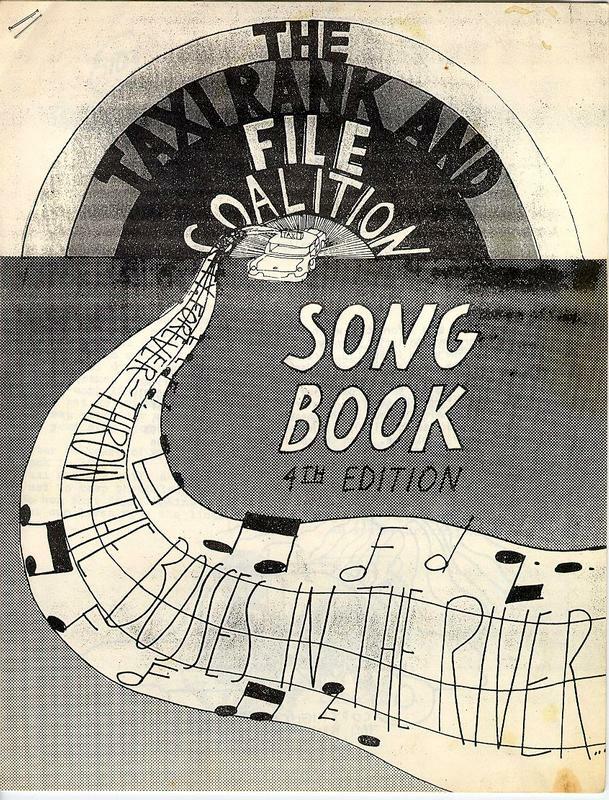 Cover of the Taxi Rank-and-File Coalition Song Book. Background information about the songs and the Coalition can be found on the inside front cover. The Song Book consists of parodies of a number of labor songs written by rank-and-file taxi drivers to highlight their grievances. Labor's unofficial anthem, Solidarity Forever, is parodied in the songbook, and the words "solidarity forever--throw the bosses in the river" are drawn on the cover as music streaming from the taxi cab. Image from the Taxi Rank-and-File Coalition Collection, NYU Robert F. Wagner Labor Archives.